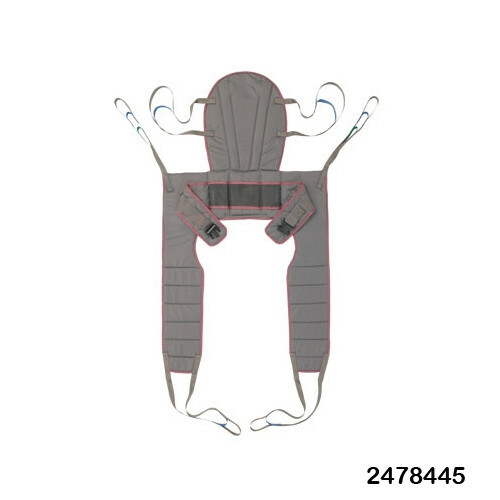 The Invacare Premier Series Dress Toileting High Sling is a support sling specifically designed for the assistance of residents and patients who need to use the facilities but are limited to their mobility. 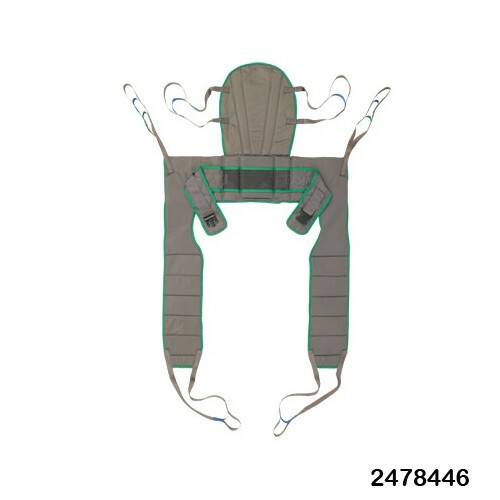 The sling has 6 attachment points that will loop onto the lifts hinges, the toileting sling can be used with lifts such as the Jasmine Premier Full Body Lift, the Reliant 600 Power Lift or the Reliant 450 Powered Lift. 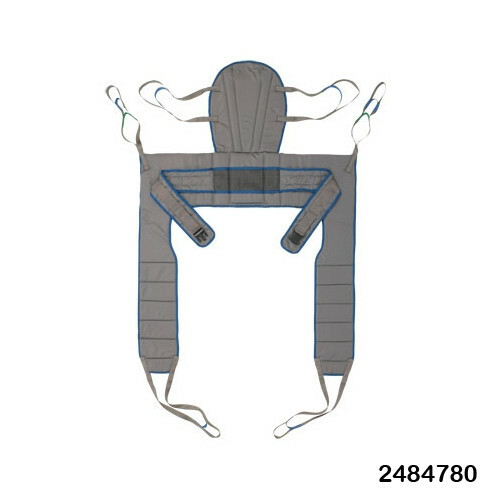 The design of the Invacare Premier Series Polyester Toileting Sling wraps around user by their legs individually to offer the support needed to be mobile without the intrusion of a more constructive design that will require the user to be positioned correctly - then transferred over to the restroom. 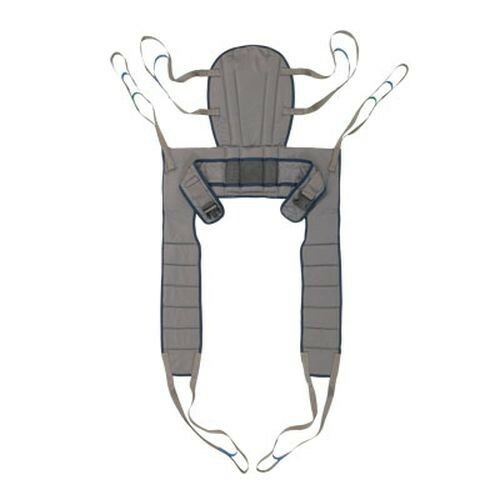 The sling includes support for the neck and head in order to create a more comfortable sling; supporting the head and neck while in motion for patients who may need assistance with this matter will keep them from suffering accidents and prevent soreness. The solid design of the sling is made of a polyester material which is durable enough to support a wide range of residents. 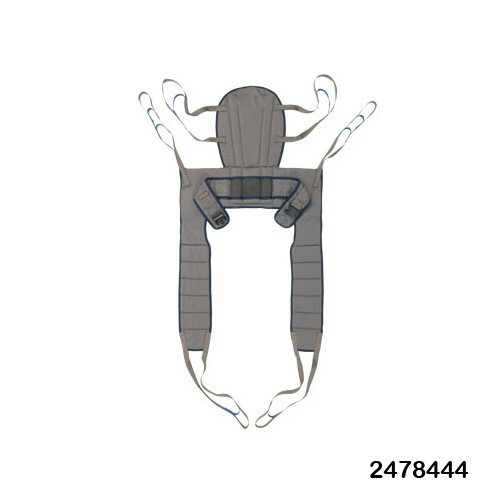 The Invacare 2478446 Large 500lb Toileting Sling just like the other options listed here, have a weight capacity of 500 pounds; except for the Invacare 2484780 X-Large 550 lbs Sling which has a weight capacity of 550 pounds.